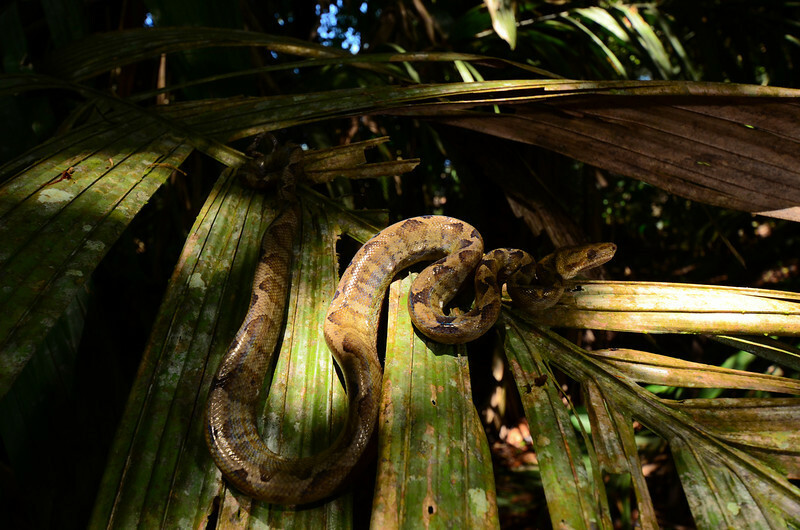 Annulated Tree Boas (Corallus annulatus) can be a challenge to photograph due to their smooth, flat lying scales causing copious amounts of iridescence. However, this iridescence is one of the characteristics that makes them so stunning. I found that the dappled sunlight coupled with a small amount of fill flash provided enough contrast while still retaining some of the "natural" look of the snake.